Hello! Did you run the Surf City half or full marathon this weekend? Got some FOMO? Or what is past tense FOMO…? SAMO – sad about missing out?? Anyway – I have SAMO! I’ve run the Surf City race for years and didn’t this year for a few reasons. But I think I’m going to run the Orange County Marathon so I have something new to focus on and train for!! I have a discount code for the half and full race so you can run it and save some money too! 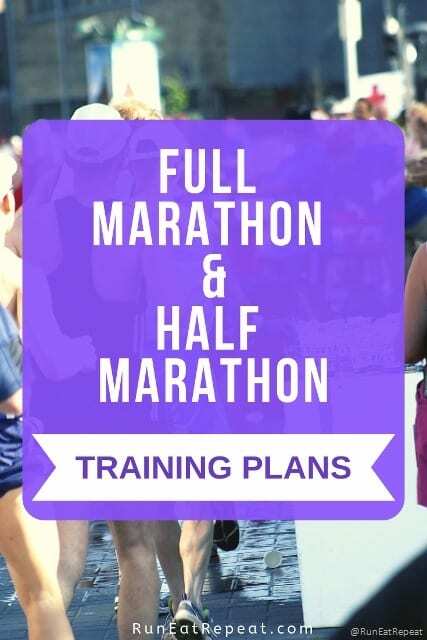 AND I’m sharing a training plan for the full marathon and half marathon so you can sign up and get started today. 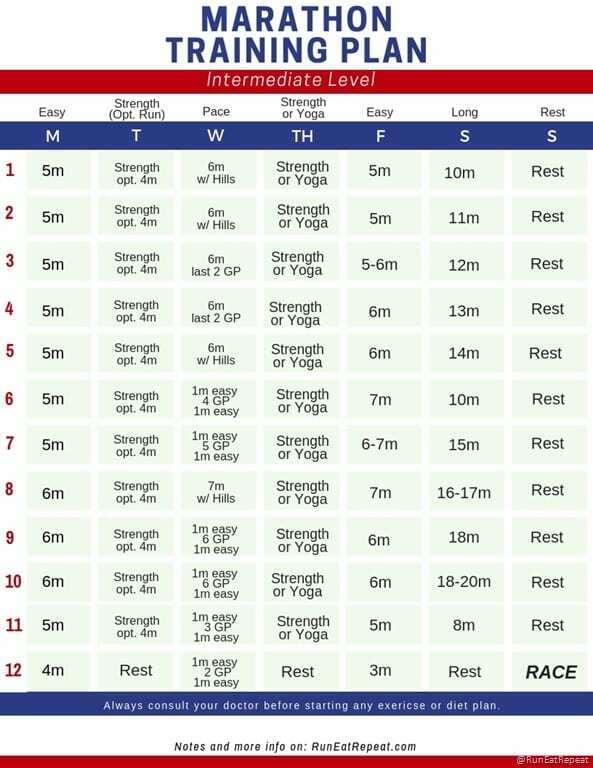 The race is about 12 weeks away so if you already have a running base a 12 week training plan sets you up for a great race. Sign up! Start now!! And if you need a training plan for this race or another race… check out the options below. The half and full training plans are below – but these are just ideas and templates. All training plans should be made and updated for YOUR body and needs. Update them as needed. 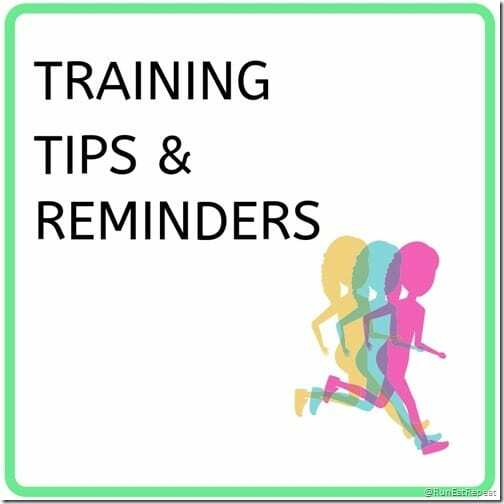 This means – make sure you are getting enough training and mileage each week so you’re well prepared for the race. But also don’t force yourself to do every run on the plan when your body is showing signs of injury. Over the course of a 12 week training plan you might need to update or tweak your plan,runs, workouts, etc. 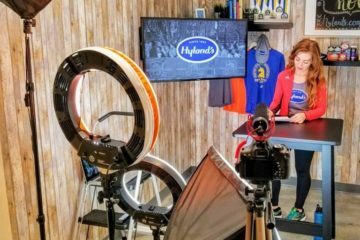 If you want a personalized running or training plan – work with a running coach. Running base: You should be running 4 to 5 days a week consistently for a few months for a half or a year for the full. 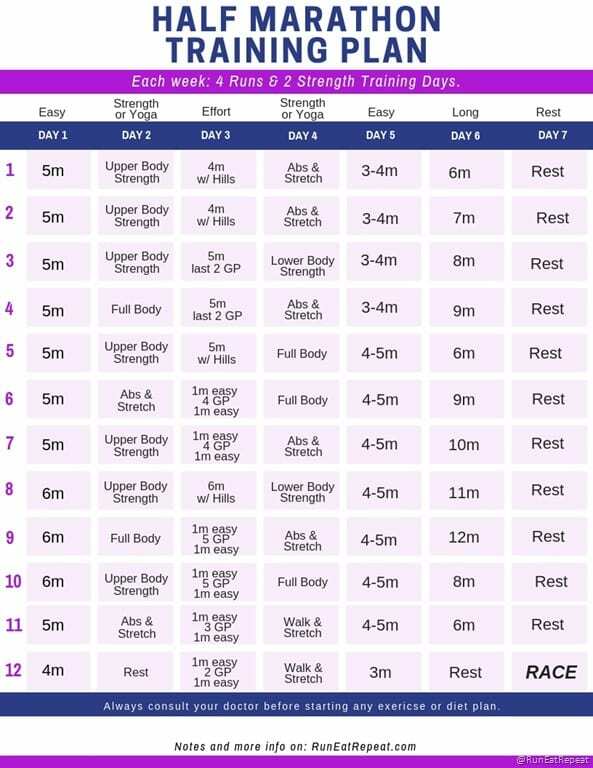 For the half marathon – you should be able to run 6 miles for the 1st long run of the plan. 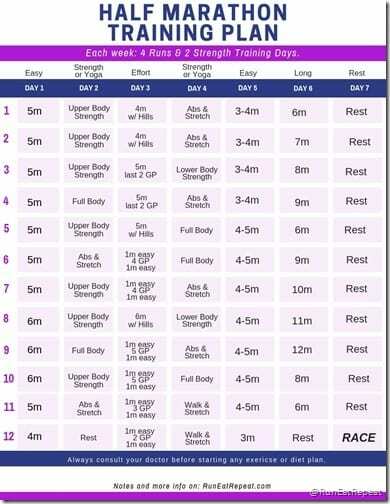 For the full marathon – you should be able to run 10 miles for the 1st long run of the plan. Your body: You should be injury free when starting a new training plan. 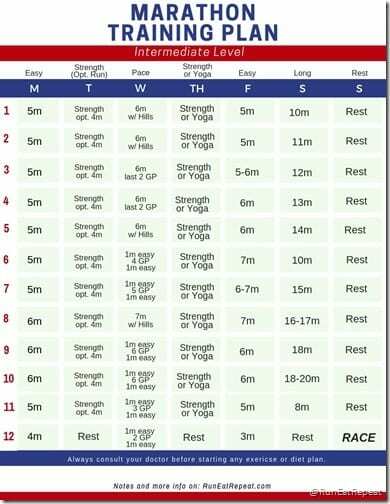 Time: You must have the time to run at least 4 days a week & 2 strength or yoga workouts for the next 12 weeks. Warm up before each run. Incorporate strength training and/or yoga. 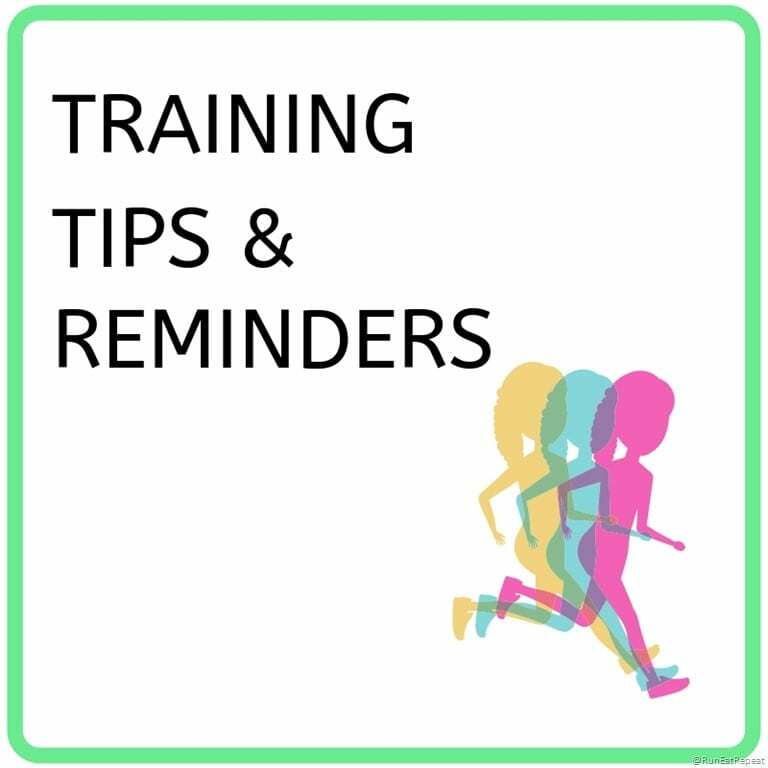 The training plans below are for an experienced runner with a goal time. 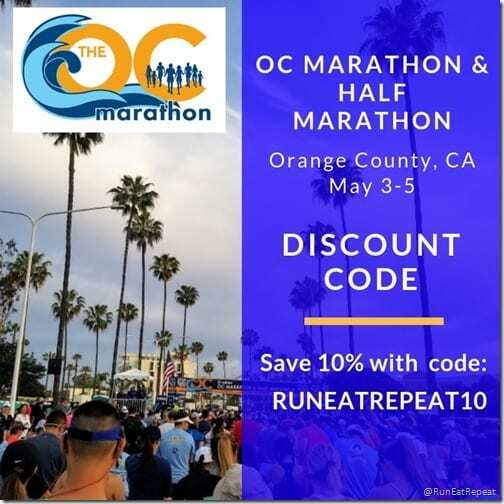 I usually run my long run on Saturdays but the OC Marathon race is Sunday. And you might like to do your long run on another day so there are 2 options – 1 has the days of the week with the Long Run on Sat. OR the days are numbered 1-7 and you can make your Long Run any day of the week – just keep them in order so you’re not grouping hard days together. 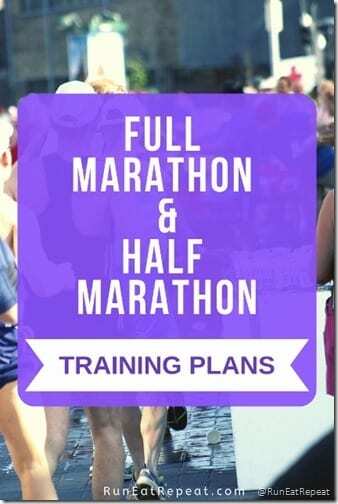 Do you need a beginner level half marathon training plan? I have a lot of different plans – pick the one that’s best for you. 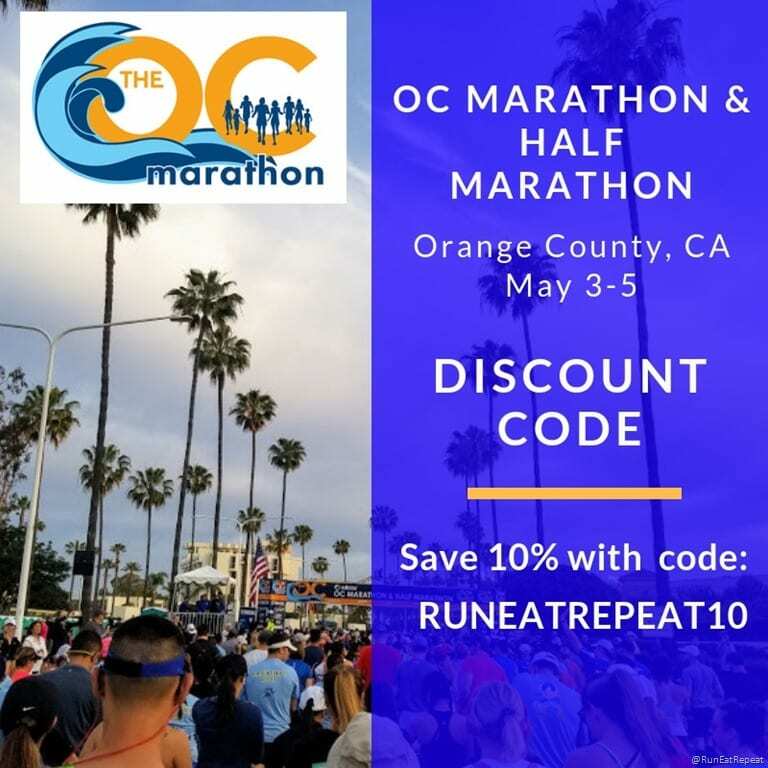 Now who’s running the OC Marathon or Half Marathon?